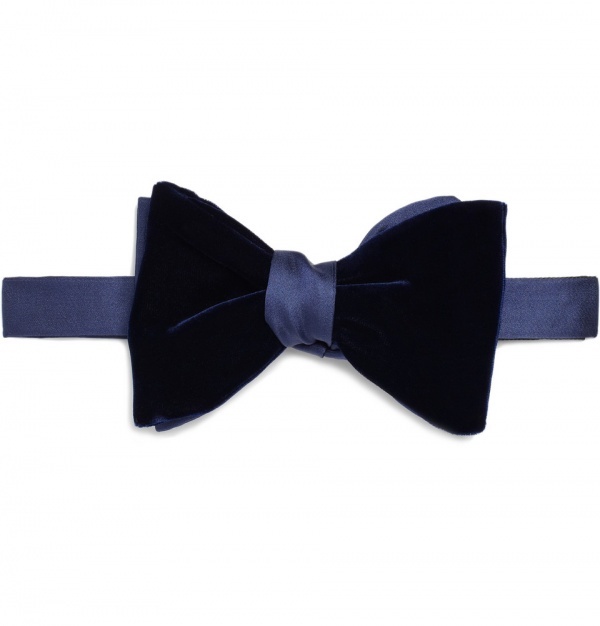 A bow tie is one of the most dapper accessories a gentleman can don, and this double self-tie Lanvin bow tie with velvet face in a rich midnight blue is a perfect example of the bow tie done right. The complimentary colors, the velvet mixed with silk, all culminate in a classy signature Lanvin bow tie, which would make a charming addition to black tie dress. Available now at Mr. Porter.